New Dietary Guidelines: What Are We Supposed to Eat? 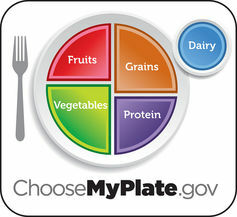 Since 1980, the Dietary Guidelines for Americans (DGA) have been providing information to Americans on how to make choices to reach a healthy weight, prevent disease and promote overall good health. Alzheimer’s disease is the most common form of dementia in older adults. At the moment there is no cure, but many clinicians feel that the earlier one is diagnosed, the better the possibilities are for treatment or slowing the disease. Iron is a most versatile element. It is essential to many of the enzymes that are the engines for life, and in mammals is also used to carry oxygen on hemoglobin in blood. Remember Popeye and his spinach: all that iron made him strong.